20% deposit 1 week prior to arrival. 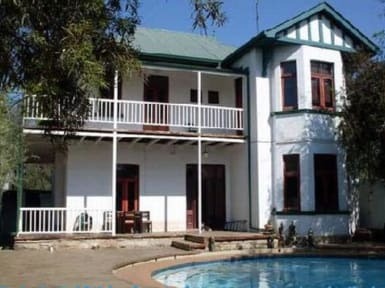 Ghandi backpackers lodge offers luxurious accommodation in a beautiful historical house which was build in 1889-situated on the infamous langemann koppie it is central to all major routes around Johannesburg. It has a charming thached bar with pool table and dstv with food and drinks- the bar on looks a gorgeous circular swimming pool. Ghandi backpackers lodge will give you a relaxing stay meeting all your needs whilst in our home. Can’t recommend staying here enough. The hosts are lovely & have a really, really nice space. The kitchen is huge and easily accessible, the sleeping arrangements are fantastic (best sleep we’d had in four weeks of travelling), the showers have hot water & we never felt unsafe because of the property’s high fences, security cameras & big (but extremely friendly to the guests and cute) guard dog. Wifi is super fast, there is a pool table / books to read, a tv room & washing was $5 AUD for a load. It was just a short stay, but surely I'll get there again soon as I'm back to Joburg. 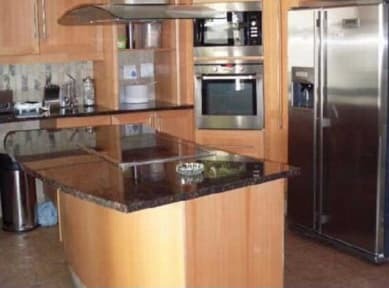 Walking distance from nice districts, free airport pickup, easy-going staff. Recommended! Was a wonderful hostel dorm made from a wonderfully kept mansion complete with swimming pool and bar that most likely doesn't get all the traffic it deserves because of its short distance from the CBD of Johannesburg which may seem to some as out of the way but is never the less such a pleasant hostel dorm to stay in that the very cheap 10 minute buss ride and or Uber to get there makes it well worth staying in. This place is amazing. Beautiful gardens, tranquil spot, so relaxing. Surrounded by flowers, birds are everywhere. Heinz and Chris are beyond accommodating. Fabulous kitchen and lounge areas. I tried staying elsewhere but came right back. Check this place out for sure!! Stayed one night as we were heading off early the next day. House is a cool old building and our room was huge. Nice bar area and friendly staff. Only negative is that they have a young Rottweiler that was always around the entrance and bar and can be annoying/scary especially if you are afraid of dogs! Very good place! Quiet to relax. Below average hostel at flashpacker prices. Having stayed in a lot of hostels I have rated this poorly because the score was way higher than the quality of my experience. The hostel was empty with only 5 guests. The staff weren't friendly, I definitely didn't feel at home. The bed was uncomfortable. The was no light in the showers. There was 1 plug for a 14 bed dorm. WiFi didn't reach the rooms. Breakfast is very basic. Redeeming features were house kitchen and lounge. Near the airport.